This one arrived in a small time slot. 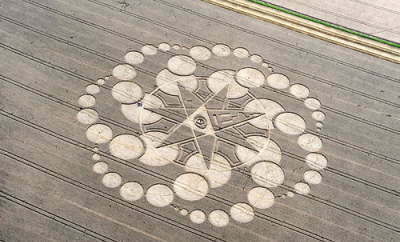 This showed up between 4.30am and 5.30am due to witnesses sitting next to the field. 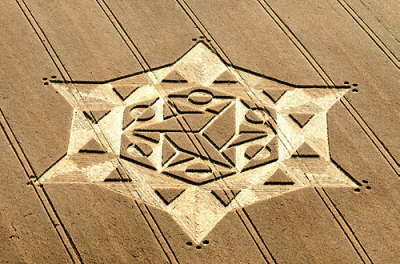 Someone even walked through the field around 5am and it was not there and had some remarkable lay forms. This one arrived 8/8/08 below Milk Hill 08. 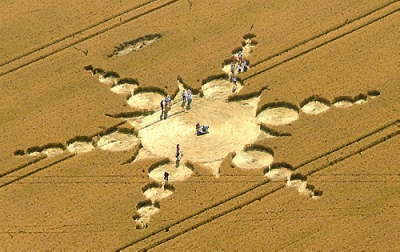 This one appeared at the last minute in the East field just before the harvesters turned up. 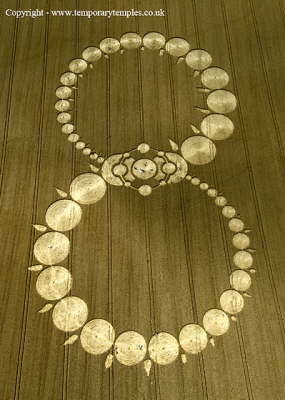 You are currently browsing the Crop Circle Explorer Blog blog archives.